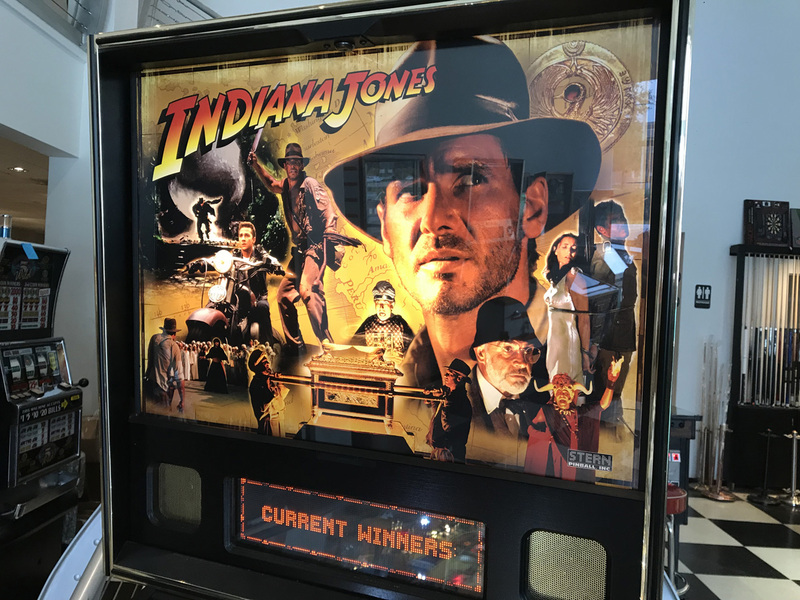 Indiana Jones Pinball Machine * | Fun! 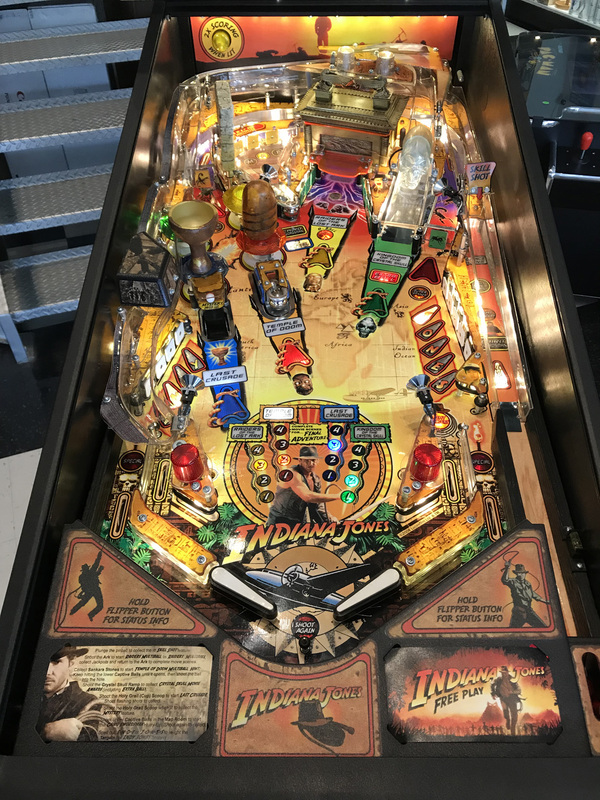 Indiana Jones pinball features the original performance of the classic “Raiders March” from Raiders of the Lost Ark, performed by the London Symphony Orchestra. 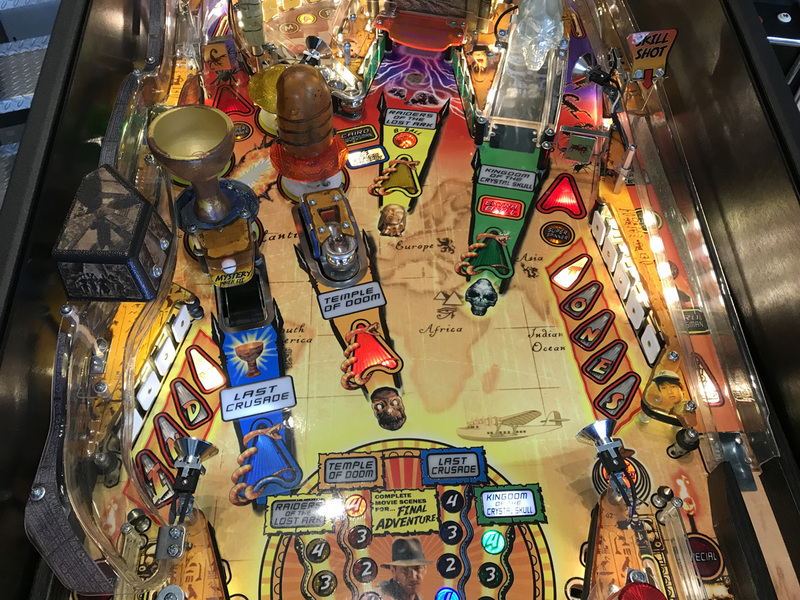 David Thiel created the balance of the music for the pinball, while Pinball Hall of Fame artist Kevin O’Conner created the artwork for the game. 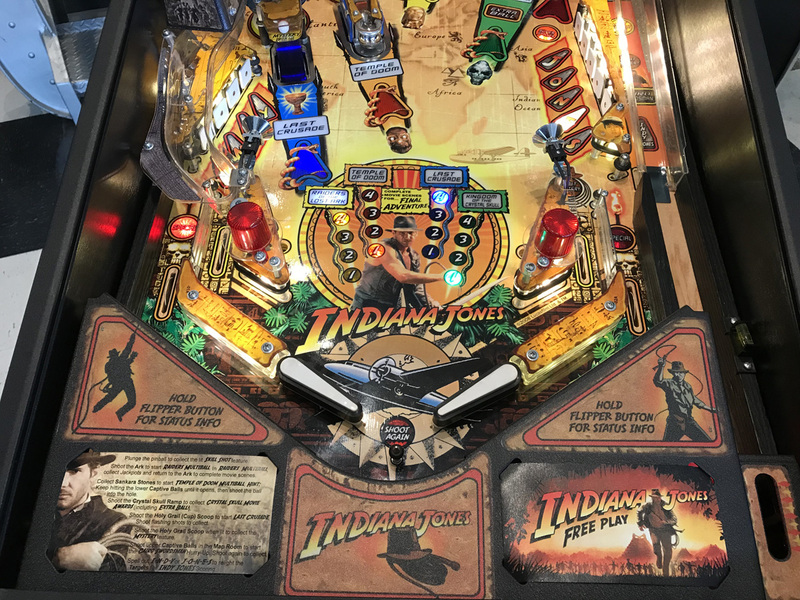 Indiana Jones pinball also features audio clips and quotes from the trilogy of movies. 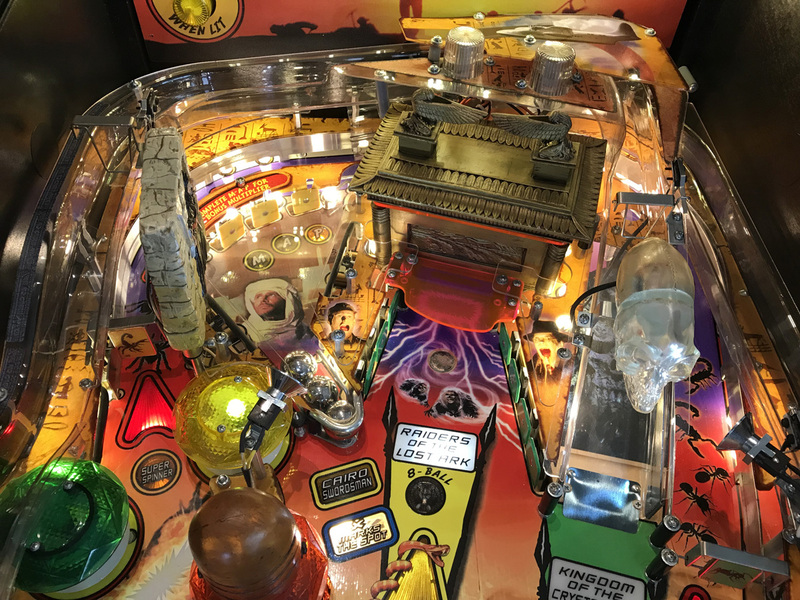 Indiana Jones Playfield has some incredible features, including: an Ark of the Covenant device that opens to release an eight-ball multi-ball round; an illuminated Crystal Skull device on a ramp; a glowing Sankara Stone device above a trap door; a Holy Grail device above an eject hole; a Map Room captive-ball area, which features a rotating Cairo Swordsman, plus a magnet located in front of the Ark that causes the ball to go wild. 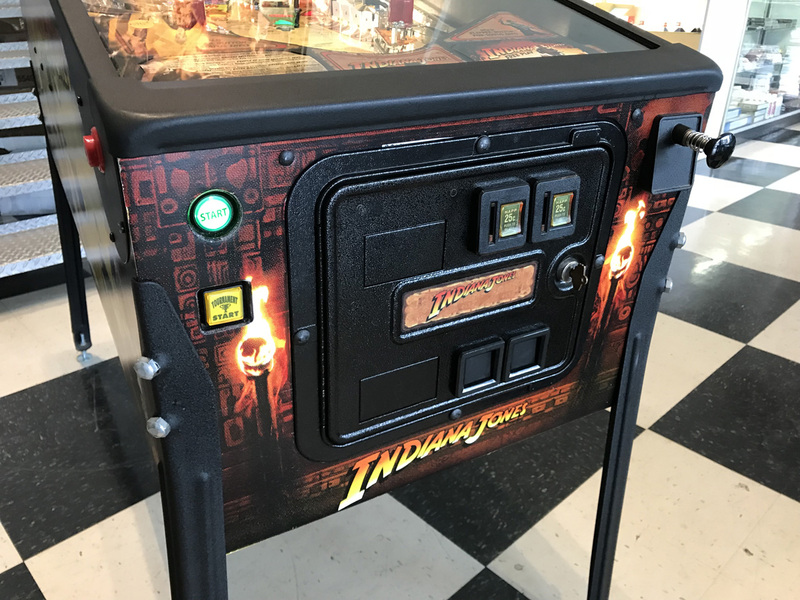 This game is in super condition and was acquired by a local home owner. 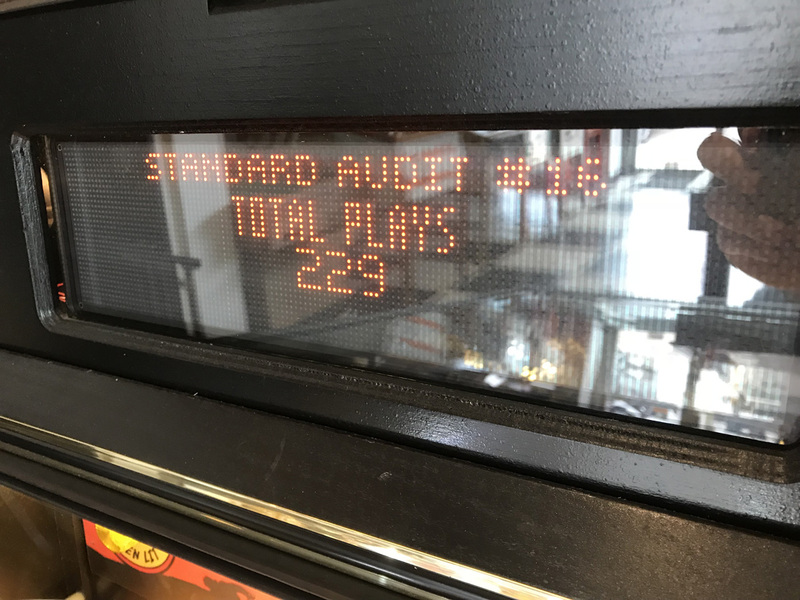 This one owner, Home Use Only game was pampered and only shows to have 229 plays currently on the meter (see pic). What does “Home Use Only” mean? 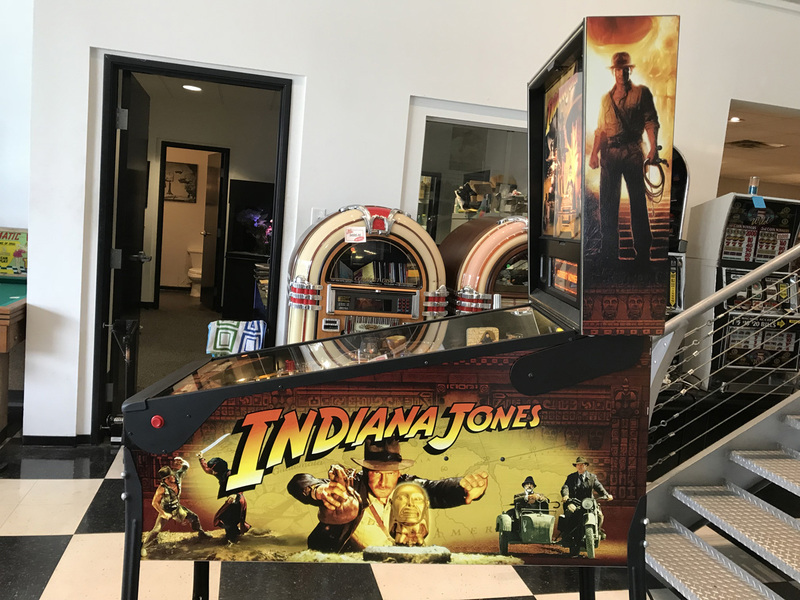 The term “Home Use Only” or HUO for short means the game has never spent anytime in a commercial location, which goes to show for its remarkable condition. The game plays perfectly. 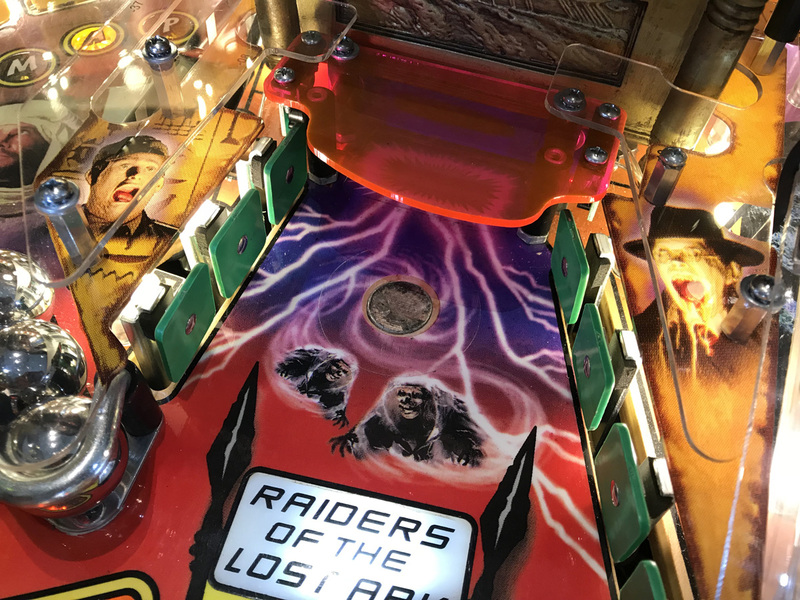 All game functions have been checked by a pinball technician and it operates 100% correctly. 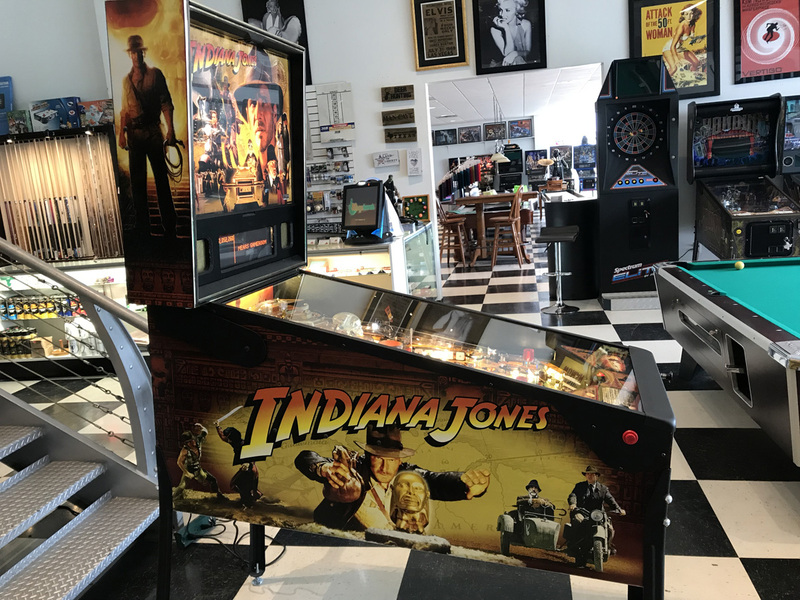 We have shopped this game by cleaning and polishing the playfield and replacing rubber rings throughout the playfield. All playfield illumination has been upgraded with high quality non-ghosting LED’s. These not only give the game a great look, they also consume far less energy which is great for the electronics on this machine. 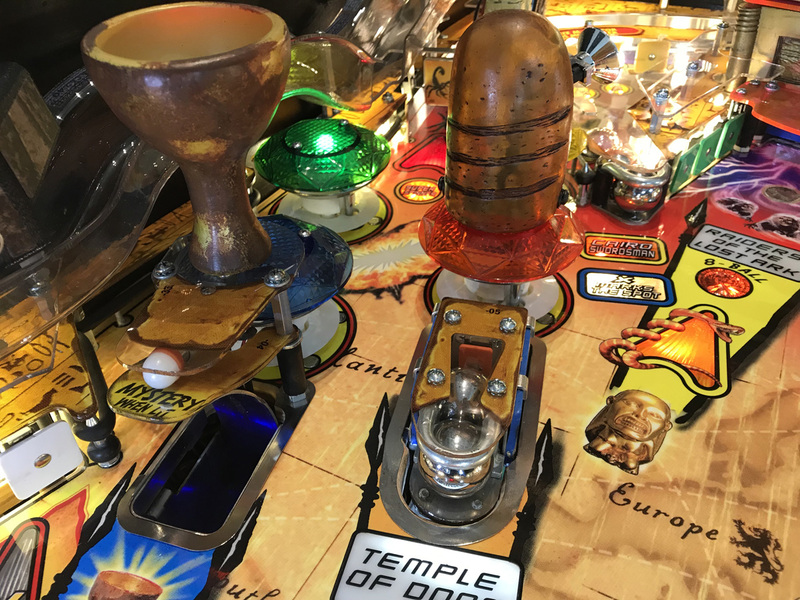 In addition to the LED’s, “Cliffy” Edge Protectors have been installed around the Shankara Stone and Left Scoop hole to protect the playfield from wear. As with any of our pre-owned machines. 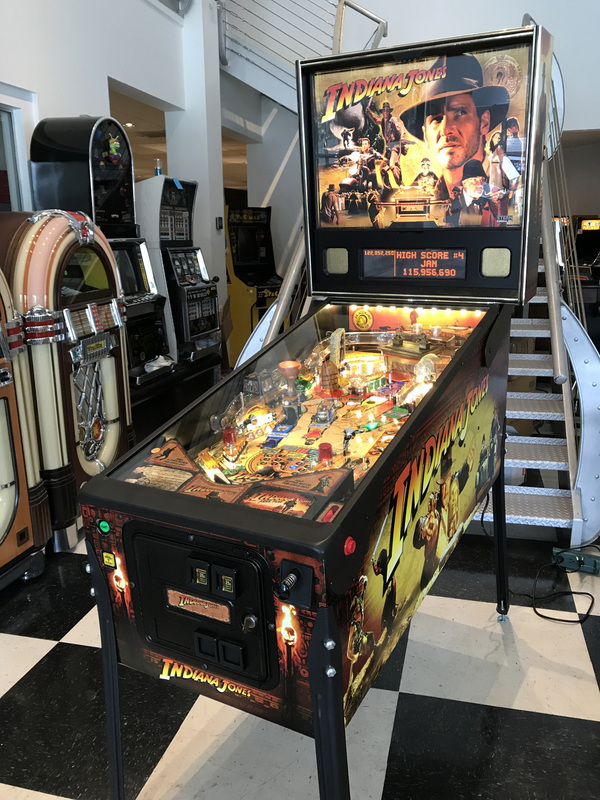 Indiana Jones includes a 30 day warranty on the electronics.